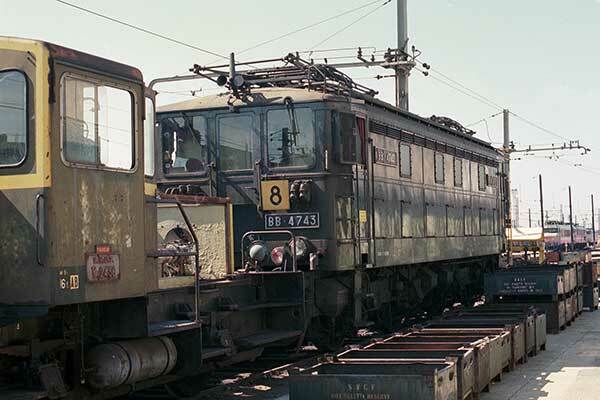 Caption - Vintage SNCF BB4730 series electric loco BB4743 originates from 1933 and was rebuilt in the late 1970s. BB4743 was still seeing occasional use at Tours St Pierre depot when photographed in 1988. Just in picture is Y2436 built in the early 1960s and used for work within the depot.